Lest you think fake news is a recent problem, here are a few samples from the Napoleonic era. Napoleon’s only legitimate child, the King of Rome, was born on March 20, 1811 in a particularly perilous delivery. This led to reports that he was not Napoleon’s son. The Times Newspaper, June 13, 1815, has taken an extract from a French work of notoriety…entitled ‘Notes to M. Lafont D’Aussonne’s Poeties Fugitives,’ wherein he endeavors to prove that the son of Napoleon is only an imposture and not from the body of Maria Louisa; stating that Buonaparte, suspecting his wife would not produce him an heir to his throne, therefore, previous to her delivery, had provided a male child ready in an adjoining apartment, should she fail as he suspected. On February 21, 1814, with the armies of the Sixth Coalition pushing into France, news arrived in Dover that France had been defeated, Napoleon had been killed by a party of Cossacks, the Allies were in Paris, and the Napoleonic Wars were over. A most criminal imposition was practiced upon the public, evidently with a view to enhance the prices of the funds, and particularly of Omnium [a government bond]. About 11 o’clock, an express arrived from Dover communicating information that an officer, apparently of the French staff, had landed early in the morning at that part from France, who announced, in the most positive terms, the death of Buonaparte, that the Allied Armies were in Paris, &c.; but they stated that the French officer, after communicating the substance of his dispatches to Port Admiral Foley, in order to be communicated by telegraph to the Admiralty, as soon as it was daylight had proceeded on his way to London with dispatches for Government on the subject. The next day Omnium fell back to 26½, leaving many investors with losses. The hoax became known as the Great Stock Exchange Fraud of 1814. Lord Thomas Cochrane, a member of Parliament and naval hero, was arrested, tried and imprisoned, along with his uncle and his financial adviser. Cochrane always maintained his innocence and was eventually pardoned. 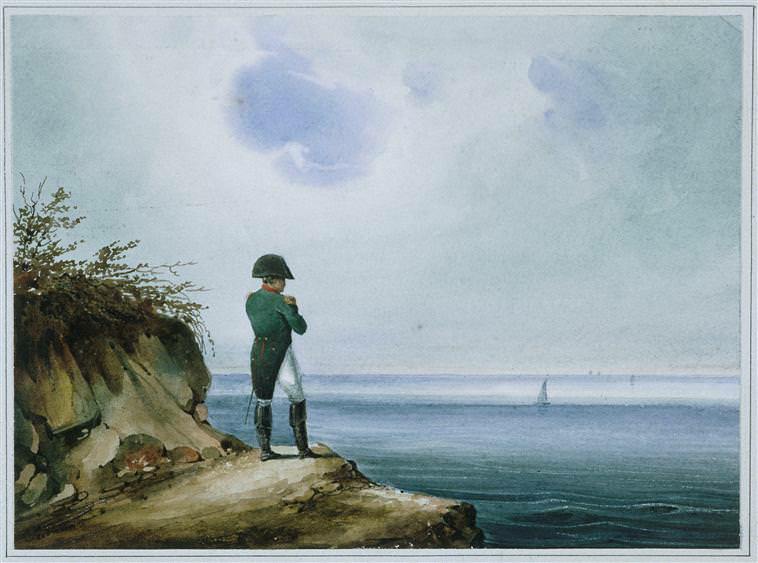 Throughout Napoleon’s captivity on St. Helena, there were periodically reports that he had escaped. Here’s one from 1820, which – even as it printed it – the London Morning Post recognized as fake news. We copy the following ridiculous article from a New York Paper, and believe we may venture to pronounce the silly story as not having the slightest foundation in fact. Extract of a letter from St. Thomas’s, Sept. 18: I hasten to communicate to you that information has just reached us that the crew of the French frigate Junon, when off the Island of Ascension, headed by several of the officers, rose upon the captain and confined him below. They immediately proceeded to St. Helena, and arrived when the 74, with the sloop of war and guard ship, were cruising at some distance from the island. The Junon having the British colours flying, was mistaken for an English frigate, and permitted to anchor on the left of the water batteries. Having chosen an excellent position for raking the two lower batteries, she commenced an enfilading fire, which being as sudden as unexpected, did immense execution, and threw the garrison into confusion. Before troops were stationed and order restored, it was visible form the frigate that several officers of the garrison were killed or wounded, all which increased the confusion arising from the sudden attack. If you’re curious about what might have happened if Napoleon had actually arrived in the United States, read Napoleon in America. Annual Gleanings of Wit and Humour in Prose & Verse: Consisting of a Selection of Anecdotes, Bon Mots, Epigrams, Enigmas, & Epitaphs, Vol I – Part I (London, 1816), pp. 156-157. Sylvanus Urban, The Gentleman’s Magazine and Historical Chronicle, Vol. 84 (London, March 1814), p. 295. “Reported Escape of Bonaparte,” The Morning Post (London), November 2, 1820. Fake news ha ha 🙂 That has gone into the language now. The British especially loved to disseminate “news” that made Napoleon look bad. It’s amazing how the myth about Napoleon being short persists even to this day. 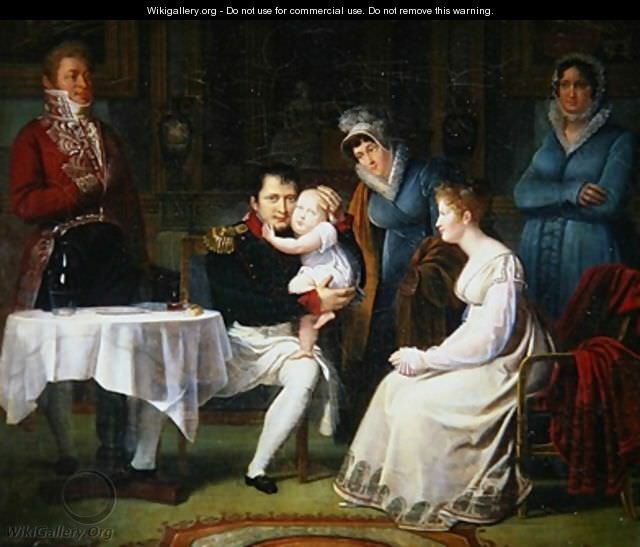 My friend Margaret Rodenberg has written a great post about how tall Napoleon really was: http://www.mrodenberg.com/2013/10/24/how-tall-short-was-napoleon-bonaparte/. What a fun blog! Love this! The Cossacks chased Napoleon back to Paris and even occupied Paris for a bit. From the Cossack term ‘Bystro’ came the French Term Bistro. Cossack comes from the Turkic word Kazak meaning free and independent people. There are many Orthodox Christian Communities in the States. It still amazes me that it is always those that do not know any Cossacks or have Cossack friends know everything about the Cossacks. Thanks for reminding me of something I remember learning in a Russian class at university, namely that the French “bistro” comes from the Russian word for “quick,” originating, as you say, from the Cossacks in Paris after Napoleon’s defeat. I’ve just looked up the origins of the French word and it seems they are a bit more murky. See “The Origin of the Word Bistro” by Anatoly Lieberman on the Oxford University Press blog: https://blog.oup.com/2009/06/french-2/. Napoleon was very popular. Many people invented false news to earn money. For this reason, many biographies of men who had known the Emperor appeared. I imagine the connection with Napoleon was a tempting money-spinner for a lot of people. In a soldier’s uniform [Napoleon] passed the guard-house, reached the shore, and in the confusion seized a boat which was chained to the rock, and put off for the Junon.